Netbook navigator : Nav7 tablet | It-11 Audio / Tonegeek"
The Netbook Navigator Nav7 tablet has 1024 x 600 pixel 7 inch multitouch display and runs WIndows 7 on a 1.6 GHz Intel Atom Z530 processor. 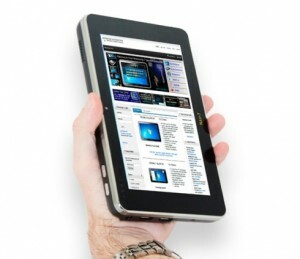 The Nav7 start price is $649 and if you order today, you will get your tablet in late May. The base model comes with 1GB of RAM, WiFi, a 16GB solid state disk, Bluetooth, and an Ethernet, and 2 USB ports. For $649, there is no OS. With Windows 7 Home Premium the price raise up to $749. Windows 7 Professional and Ultimate are also supported. You can also upgrade the Nav7 with 2Gb of RAM, 32GB or 64GB of storage, and there is an optional 3G model. The top line model is $1249. 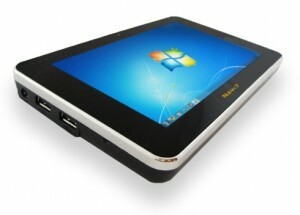 Netbook Navigator offers a number of configuration options and one of the first Windows 7 tablets with a 7 inch display. This entry was posted in What's up, doc ? and tagged nav7, netbook navigator, tablet. Bookmark the permalink.